The ambience of Fooprise just refreshes one’s mind the moment they enter. It is upbeat and unconventional. However, I became a huge fan of their out of the world menu! There are varieties of parathas that you must have not even heard of. 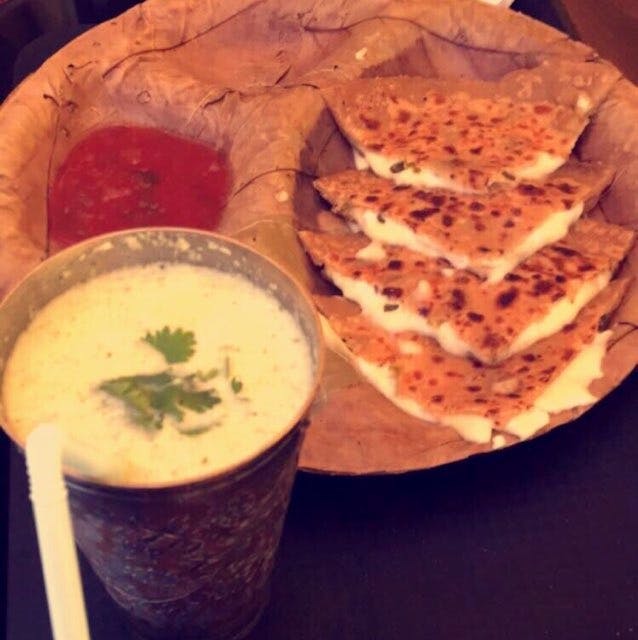 Although, the combination of cheese and jalapeno in paratha was mind-blowing! The cheese was oozing out when it was served on my table. The way it was prepared was also top notch! As the menu is so versatile that I even saw Bournvita in the beverage section; although I chose jal jeera to compliment the cheesy taste. Don't miss the combos here. They are just so deliciously satisfying! Your taste buds will thank you to try some very unusual food. The bright yellow ambience is nice bright and comely. The ambience also has the quirky earthen feel and it surely gives our customer a desi feel. Although, the food is so versatile that it has become my first choice the next time I consider going out!